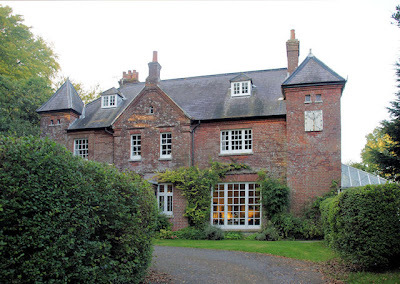 Norrie Woodhall has a new claim to fame when it comes to Victorian novelist Thomas Hardy. She's just provided the inspiration for a successful campaign to keep some valuable Hardy manuscripts in his native Dorset. At 104 years-of-age, Norrie might seem an unlikely muse for Dorset's die hard Hardy fans. But she's been connected with the writer since before she was born: Norrie Woodhall says her mother was the inspiration for Hardy's tragic heroine, Tess of the D'Urbervilles. 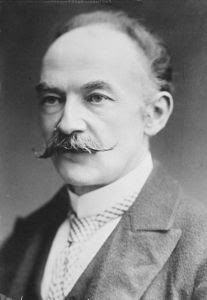 Augusta Noreen "Norrie" Bugler Woodhall is one of the last people alive who actually knew Thomas Hardy. When she was but a lass of 16, Hardy himself cast Norrie to play Tess's little sister, Liza Lu, in a dramatization of Tess of the D'Urbervilles. It was typecasting. Her older sister, Gertrude, had landed the lead role of Tess, the tragic milkmaid who winds up dangling from the hangman's noose. According to Norrie, the beautiful Gertrude was the image of the girl's mother, Augusta Way Bugler. 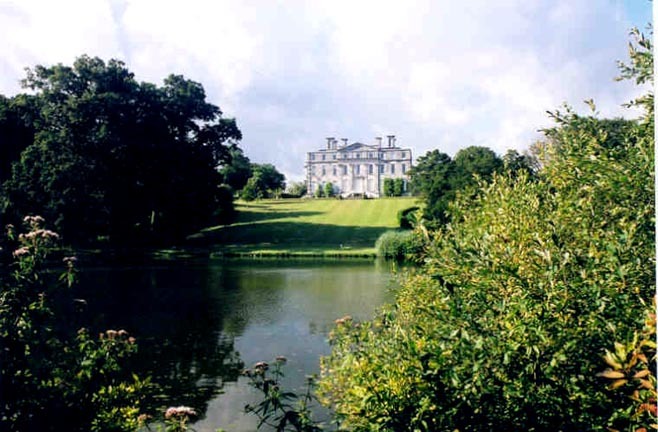 And at age 18, Augusta was herself a milkmaid on an Dorsetshire estate where Thomas Hardy was a frequent visitor. Augusta Bugler With Her Daughters Norrie (left) and Gertrude. Norrie says that Hardy himself revealed to her that her mother was the inspiration for the doomed Tess: "Thomas Hardy told us that he used to walk past our mother each day when she was milking. She was a beautiful woman. He said himself that the memory must have entered his mind when he was creating the character of Tess." She elaborated in an interview with The Daily Telegraph: "He used to walk to the Kingston Maurward estate, near Dorchester, as the lady who lived there thought he was clever and gave him great encouragement. On his way he would walk past a gray manor house where my mother Augusta and three other families lived. My grandfather ran a dairy there and my mother and her sisters would sit outside and milk the cows." But unlike Alec D'urberville and Angel Clare, Thomas Hardy never dared to approach the beautiful milkmaid. "I do not believe Hardy ever spoke to my mother though, as he was a very shy person," said Norrie. "He would never have made advances." Augusta married Arthur Bugler soon after she unwittingly became the model for one of the great heroines of Victorian literature. 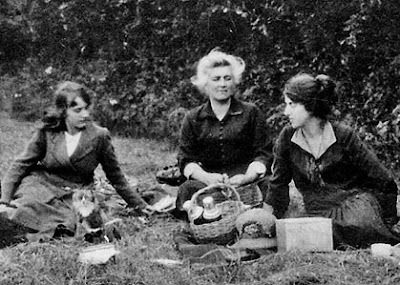 She went on to have three daughters Eileen, Gertrude, Norrie, and a son, Arthur. Two decades later, Norrie and her sister Gertrude were chosen to be members of Dorset's "Hardy Players" (.pdf format). Stage manager Thomas Tilley and writer Alfred Evans wrote dramatic adaptations of Hardy's novels and short stories beginning in 1908. They took their efforts to Hardy's cottage at Max Gate hoping to gain the author's blessing for their productions. According to Dr. Jon Murden of the Dorset County Museum, "Hardy was a bit wary about how the plays of his novels would work but he got more involved with it and it became a very important thing in his life. " Norrie Woodhall knew just how involved Hardy became: "When I was a teenager my sister and I were in the Hardy Players and Thomas Hardy would direct us. Everybody who became a member of the Hardy Players was chosen by Hardy himself." Thomas Hardy's Cottage At Max Gate. In a plot rivaling that of Hardy's novels, the casting of Norrie's sister as Tess provoked such envy that it threatened the very existence of The Hardy Players. "Gertrude and my mother were very much alike - Gertrude was beautiful like her," recalled Norrie. 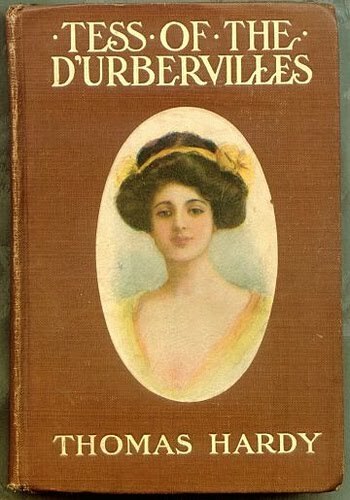 "In 1924, we did a production of Tess of the d'Urbervilles and Thomas Hardy made it a condition that Gertrude play the lead role. Hardy called her 'the impersonator of Tess'. Gertrude was a great success in the play and Thomas Hardy sat in the audience and enjoyed it no end." But there was someone who didn't enjoy seeing Hardy gaze upon the reincarnation of his heroine night after night, the author's second wife, Florence. "Gertrude became the absolute lead, and the London people were noticing and coming down," remembers Norrie. "Gertrude was very good and wanted to be an actress, but Florence put a stop to that." 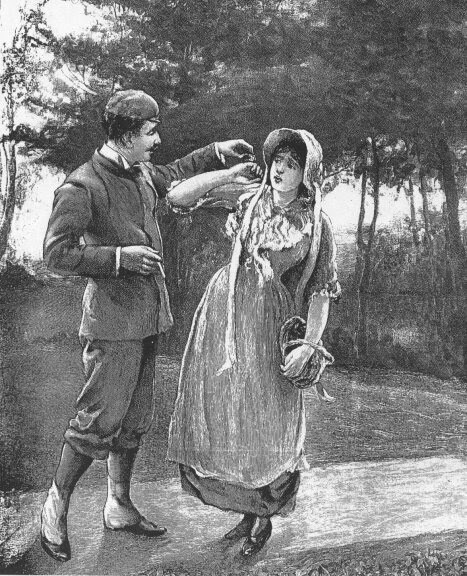 Tess's Seduction By Alec d'Urberville, 1891 Illustration By E. Borough Johnson. Hardy decided to take the show on the road to London. Starring in a London production of Tess of the d'Urbervilles would have been Gertrude's big break. But Hardy's wife had other ideas. "Florence never liked the Hardy Players and she was insanely jealous of Gertrude," says Norrie. Florence told the much younger Gertrude that rumors were already swirling about an off-stage relationship between the writer and his leading lady. "Mrs Hardy spoke of the fact that he would want to go to London to see her, that it would raise more untrue stories. She kept on at her until Gertrude wrote a letter of refusal to Thomas Hardy, which really she didn't want to do. Florence was a very deceitful woman and Hardy died not knowing the truth." The Hardy Players disbanded shortly after Hardy's death in 1928. Over 80 years later, Norrie Woodhall still remembers her time with her sister in the Hardy Players as one of the highlights of her life. A letter she found at the museum in Dorchester brought it all back. "I saw a letter in the Dorset County Museum in which Hardy suggested I should go with Gertrude to London. He said I should accompany her as London is a very lonely place. I liked acting and believe that if it was not for Florence, my life would have been different." But Norrie is nothing if not determined. As a 100th birthday present to herself she revived the Hardy Players. An 1893 Edition Of Tess of the d'Ubervilles Published By A.L. Burt. The New Hardy Players soon picked up right where the old troupe had left off. Norrie was the bridge between the groups, and is the only actor to have been a member of both. At 104 she still struts and frets her hour upon the stage, and recently did so to help keep the original manuscripts of the player's scripts from leaving Dorset. Dating from 1908 to 1924, the manuscripts include scripts with hand-written production notes by Hardy, transcripts of 12 novels and short stories, programs, and even stage set models. The items belonged to Thomas Tilley, the stage manager of the original Hardy Players. The papers had been purchased at auction by an unnamed American university for nearly $93,000. But due to their importance to England's literary heritage, the British Library arranged for the government to place a temporary export ban on the items. The embargo began in January, 2010, and would have ended in April. This meant the only way to keep the papers in the U.K. was for a British group to raise enough money to meet the purchase price before the export ban expired. 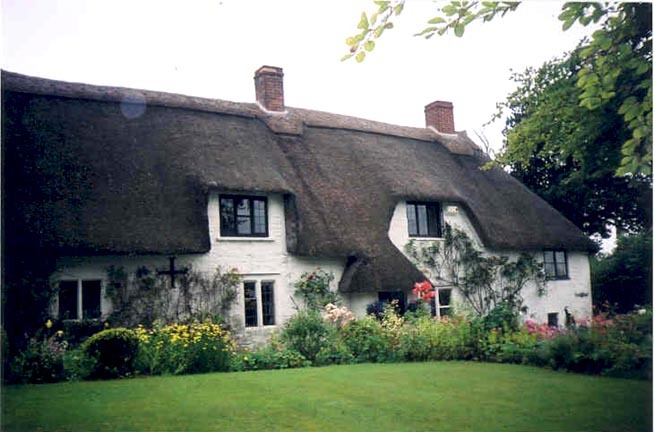 The Cottage In Marnhull Village, Dorset That Was Reportedly The Model For Tess Derbyfield's Home. Dr. Murden of the Dorset County Museum spearheaded the effort. "It's been such a great community effort. Lots of people from across Dorset have been involved, given their support, sent money... to make sure we've been able to do this. It's a really nice feeling to know that everyone has come together on this and shown how much they really care about the heritage of Dorset, and how much they really wanted the manuscripts to stay where they belong." Norrie Woodhall and the New Hardy Players became the public focus of the effort. Norrie read poetry in a special performance of Hardy's works to raise money for the campaign to keep the manuscripts in Dorset. A charity auction raised more money, with the biggest prize a chance to have "Tea With Norrie," and chat with one of the last people alive who actually knew Thomas Hardy. The New Hardy Players raised over $3,000, but more than that, the story of the 104 year old actress became a media sensation. Hardy fans all over England rallied to the cause, and individual contributions, along with grants from The Victoria and Albert Museum and the Heritage Lottery Fund, raised the money needed to buy the Hardy manuscripts with two weeks to spare. 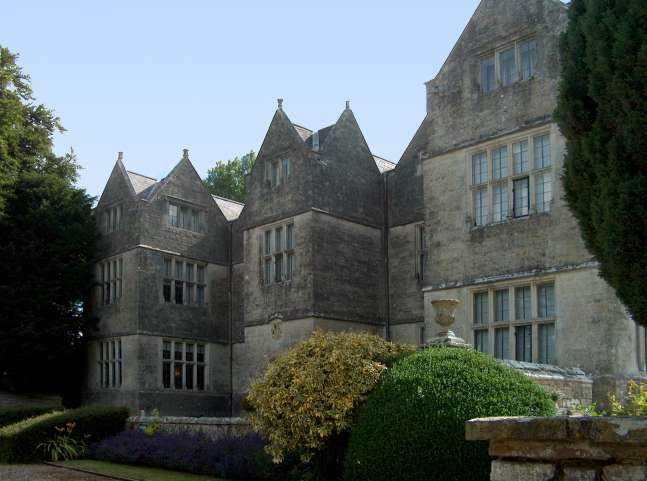 The Dorset Countryside Surrounding The Kingston Maurward Manor House. The manuscripts so crucial to the history of the Hardy Players will be housed at the Dorset County Museum, and at the library of nearby University of Exeter. Norrie Woodhall thinks that's just as it should be: "Everyone has done so well to raise a lot of money. I didn't think we would do it. I am so pleased. I'm looking forward to seeing the manuscripts very much. It might trigger off a memory about the past. What good would they be in America? I do feel that Dorchester as a town doesn't realize that it has something that no other town in the world has: Thomas Hardy."